The incredible history behind St. Mary’s Healthcare drives a future dedicated to making Montgomery County stronger. Founded in a modest house more than 110 years ago, St. Mary’s recently opened a 40,000 square-foot facility that will expand and improve services administered in a strong tradition. The Sisters of St. Joseph of Carondelet were dispatched from St. Louis to build a hospital to serve the burgeoning immigrant population in Amsterdam, New York. Of the five sisters, only one had health care experience. St. Mary’s professionals accept the challenge, delivering acute, primary and specialized care; 35 behavioral health programs; education; and nursing home and home care services among many, many others. “We have just a tremendous amount of services to serve this growing population,” Giulianelli said. 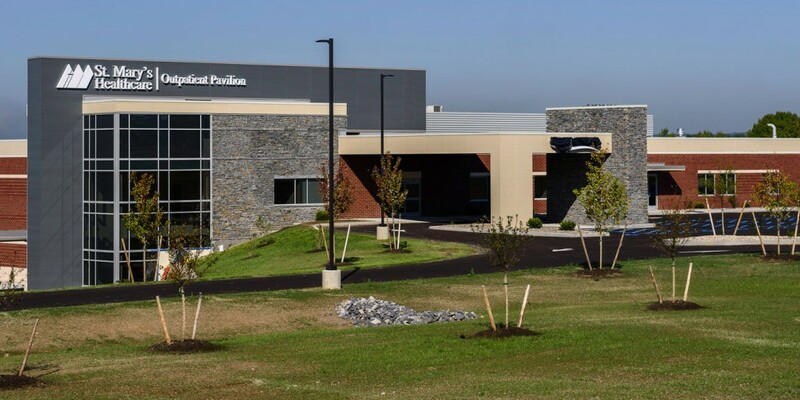 The new St. Mary’s Outpatient Pavilion will house comprehensive oncology care, laboratories, imaging, urgent care, outpatient teaching/pre-admission testing and, of course, state-of-the art equipment. “It’s going to provide great access for our patients,” said Giulianelli, who adds the Montgomery County’s biggest strength lies in the community here. The county’s roots as a haven for European immigrants at the turn of the 19th century live on today. Giulianelli points out that St. Mary’s built its legacy by caring for the people who effectively built America.